Articles about various aspects of Afghan Philately. NOTE: Click on a link to read the article. It will open in a new window and can be printed out or downloaded if you wish. Please note that all Articles are copyrighted and cannot be reproduced without permission except for private purposes (eg to write up album pages). An article published in the British Journal of Russian Philately in 2015 about the "Northern Route" through Russia which mail from Afghanistan to Axis countries had to take after the outbreak of World War II once the route through India became unavailable. The route only lasted until Russia too joined the War. An article about an earlier Northern Route - via Kushka in 1935-36, also published by BJRP in 2015. This route was very short-lived and not much used. Only a handful of covers are known. Mail from the ISAF forces is discussed in this article published in Gibbons Stamp Monthly in July 2014. An article explaining how the cancellation developed in Afghanistan - from tearing a piece out of the stamp to the first UPU-style postmarks. Published in Gibbons Stamp Monthly in February 2012. The Classic Issues of Afghanistan - 1871-1876, published in the Stamp Lover, October 2013. No prizes for spotting the deliberate mistake in the 6th paragraph where "solar" should read "lunar". Oops! 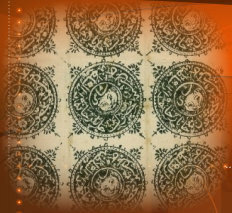 An introduction to the stamps issued during the reign of King Amanullah 1919-1928. Published in Gibbons Stamp Monthly, April 2016. An Article on the stamps and post history of the Taliban and post-Taliban era. Published in the Stamp Lover, December 2013.